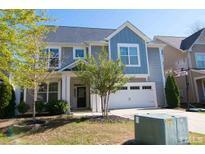 Below you can view all the homes for sale in the Woodcreek subdivision located in Apex North Carolina. Listings in Woodcreek are updated daily from data we receive from the Raleigh multiple listing service. To learn more about any of these homes or to receive custom notifications when a new property is listed for sale in Woodcreek, give us a call at 919-759-5775. Community pool with slide, gym, tennis courts and basketball! MLS#2249055. 2058. Basement has a bedroom, full bath & bonus Room. MLS#2248653. 1369. & full bath and a huge bonus Room with wet bar rough-in & frig line, unfinished storage w/ laundry rough-in. MLS#2248596. 1369. 2nd floor has 3 additional bedrooms + loft w/ 2 full baths. Shows like a model! MLS#2244193. 4632. Screened Porch, Fenced Backyard. Tons of Community Amenities! MLS#2246152. 1710. Screen Porch, Deck & Patio! Fenced Yard w/ Play Set! MLS#2243953. 2016.
seperate panel for generator. Community pool/tennis/fitness! MLS#2243529. 4333. Many extras: (Dual zone NEST system, security system, power patio door blinds, etc.) MLS#2243695. 469.
pre-sale for comps only MLS#2243119. 1369. Presale for comp purposes MLS#2243086. 1369. Woodcreek sub features massive clubhouse & pool! Must See! MLS#2242936. 5026. Presale for comp purposes MLS#2242975. 1369. Presale for comp purposes MLS#2242937. 1369. Must see basement w/Movie Theater, Guest Bedroom, additional Family/Game Room & Kitchen area. MLS#2242423. 4981. Resort like amenities featuring pool, tennis/fitness in HOA! MLS#2234788. 4333. Great pool, tennis/B-ball courts, and gym! Fantastic location! MLS#2241022. 633. Steps to visitor parking. Pool community! MLS#2240604. 649. You still have time to personalize this home art our world class design gallery. MLS#2240300. 1369. 15 year structural and transferable warranty. MLS#2240264. 1369. Oversized Screened pch overlooks fenced yard w/stone patio & Fire Pit. pool/tennis New Exterior paint. MLS#2237814. 4333.